Thank you for your support during this difficult time. Please enhance this tribute to Ugo by adding your memories and photos. 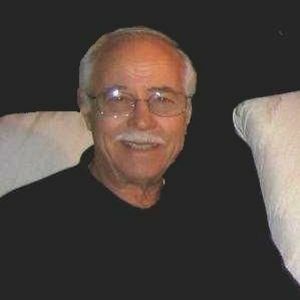 Ugo Bracco, age 75, a Macomb Township resident, passed away on Feb. 27. Ugo is survived by his loving wife Silvana; beloved children Robert (Sherri) and Steve (Sonia); and dear grandchild Lia. Visitation for Ugo is Wednesday Feb. 29 from 2 until 9 with a Rosary at 7 p.m. at Lee-Ellena Funeral Home 46530 Romeo Plank Rd Macomb Twp., MI 48044. Funeral Service is Thurs. Mar. 1st at San Francesco Catholic Church at 10:00 a.m. (Instate 9:15 a.m.). Please leave a memory at www.lee-ellenafuneralhome.com. San Francesco, 22870 South Nunneley Rd., Clinton Township, MI 48035 Funeral Service for Ugo Bracco https://www.tributes.com/obituary/show/Ugo-Bracco-93311206#services https://www.tributes.com/obituary/get_ics/93311206?service=1826632&tr= Instate: 9:15 a.m.
Our sincere condolences to the Bracco Family. Life Stories provides friends and families a forum to post their favorite stories and memories of Ugo Bracco ensuring the precious experiences are never forgotten. Share joyful times, post a photo that captures the moments you cherish, and allow others to reply, relive and remember.